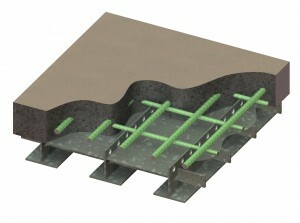 Exodermic and grid reinforced concrete bridge decks – Exodermic decks and grid decks partially filled with concrete are generally 30-50% lighter than conventional reinforced concrete slabs, making them a superior lightweight deck option when looking at economical ways to reduce the dead load on a structure. On rehabilitation projects, this dead load reduction can result in increased live load capacity with little or no structural strengthening. These lightweight deck systems have also been used on new and rehabilitated movable bridges when a solid driving surface is desired. Both Exodermic decks and concrete filled grids are excellent bridge deck choices for accelerating construction using either precast or cast-in-place (CIP) panel installation. 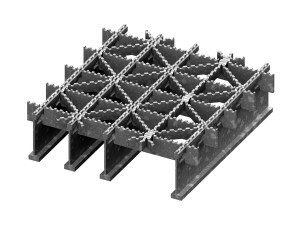 Open grid bridge decks – Open grids are one of the lightest bridge deck systems available and are often found on movable bridges and steel truss structures. 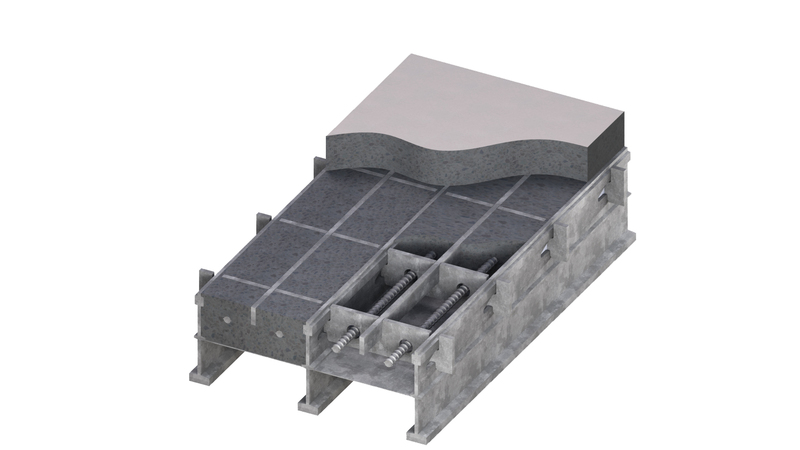 Since open grids provide a superior lightweight advantage, they are a suitable options for deck replacement in-kind on structures that cannot handle additional weight.